Did you know that the simple act of going out for a quick walk is one of the best stress busters out there? It’s incredible that something so simple, that anyone can do, no matter when and where may just be the answer to outsmarting stress. Not entirely convinced yet that going for a brisk walk is something you should try? Let’s take a closer look at how this gentle form of exercise makes you feel better and helps you reduce stress. One of the first things you’ll notice when you go out for a brisk walk is that you instantly feel better. As you move around and exercise, your body releases endorphins, also known as feel-good hormones. They make you feel happier, healthier, and less stressed. You come back in a better mood and with lots of extra energy to boot. Endorphins have even been shown to help reduce pain. Endorphins act as analgesics. This means they lessen the perception of pain. Endorphins also behave like sedatives. You create endorphins in your brain, spinal cord, and many other areas of your body. Your brain releases endorphins in response to brain chemicals called neurotransmitters. The neuron receptors endorphins bind to are the same ones that bind some pain medicines. Next, the simple fact of being outside in the fresh air makes you feel better. Part of it is the fact that your body is producing vitamin D out in the sunshine. This essential vitamin has been linked to stress. It takes extra vitamin D to make it through stressful times unharmed. Make sure that you get outside and soak up the sun. The sunshine isn’t the only thing that helps you bust through stress. The improved air quality and the added oxygen of being out in nature are also beneficial. Being in a forest, a park, the beach, or any other natural setting has a very relaxing effect. The Japanese call it forest bathing, and it has been proven to reduce your blood pressure and help you calm down. Want to outsmart stress? Get outside more. People often remark that they feel better after a walk or just going outside. 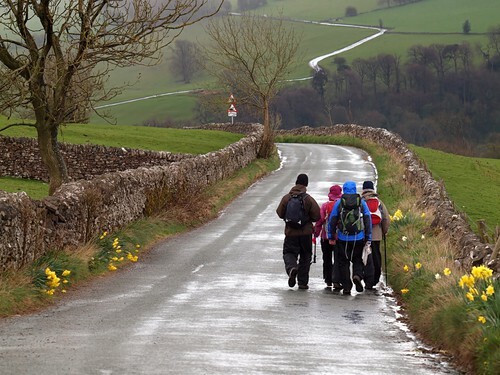 Walking is an inexpensive, low risk and accessible form of exercise. Where walking beats other forms of exercise is that there are excellent strategies for boosting the amount you do. For example, you can get off your bus at an earlier stop than you usually do and doing so will allow walking for an extra two to three minutes. It sounds small, but you will build up your distance over time. Another tip is to start walking up a flight of stairs instead of taking the lift all the time. Try walking instead of driving when you can do it. Research has found that people who had recently experienced stressful life events like a severe illness, the death of someone they loved dearly, marital separation or unemployment appeared to see more of a mood boost after outside group walks. Experts said walking in natural settings like woodland or the mountains may be especially beneficial, due to a theory which suggests people concentrate better after spending time in nature. I don’t have to tell you that not getting good sleep doesn’t improve things when it comes to stress. We’re less able to cope with everything that lives throws at us when we don’t get adequate rest. Improving both quality and quantity of sleep is an essential step in feeling less stress. It also helps our overall focus, performance, mood, and quality of life. Going for a walk (or any exercise for that matter) will help relax your body and get you ready for sleep. You find that falling asleep and staying asleep throughout the night become easier with regular exercise. As a bonus that quick walk will give you a quick boost of energy that may be just what you need to deal with your busy day – without adding to your stress load. What are you waiting for? Put on your walking shoes now and hit the trail (or sidewalk).